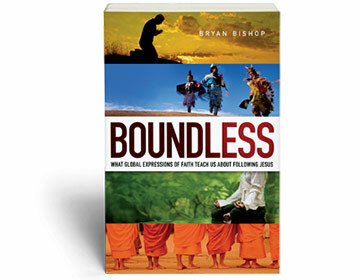 My book Boundless tells the story of a journey of discovery. If you’ve read the book, or are curious about it, I thought you might like to see a few pictures from my travels. The pictures show visually what I’ve tried to explain in words, that faith in Jesus can look quite different from the way the world has most-often seen it until now. 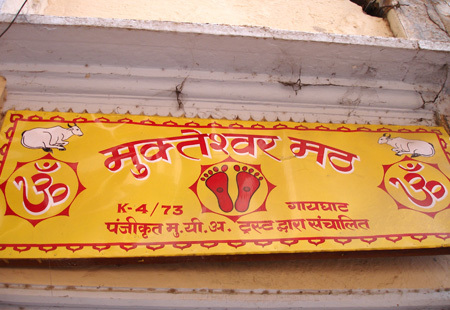 To start with, notice the sign on this Christ-centered ashram in India. Instead of a cross, they use a symbol of the pierced feet of Jesus. Inside the ashram, you can see the pierced feet of Jesus carved out of wood. Also notice the Bible placed on a stand. 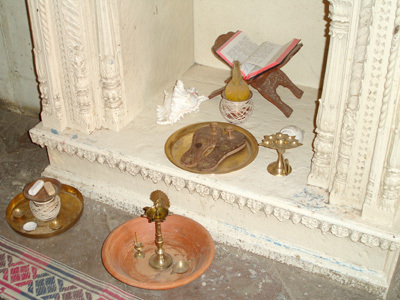 In Hindu and Muslim culture, holy books are often placed on stands like these as a sign of reverence. 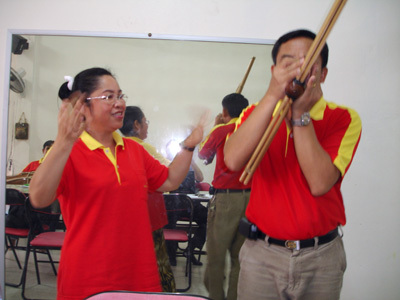 In Bangkok, Ruth Srisuan dances while her husband Inchai plays a traditional bamboo instrument called the khaen. You can’t see Ruth’s fingers too well, but she is making shapes with her hands in the Buddhist mudra style. Here Ruth ties a string onto my wrist. She told me that in traditional Thai culture the tying of a string on a guest’s wrist is a way to show appreciation. Inchai and Ruth use string tying in their fellowship of Jesus followers who come from a Buddhist background. This is the way my boat trip started in Bangladesh. Here in Bangladesh a follower of Jesus demonstrates the Muslim-style bowing in prayer. 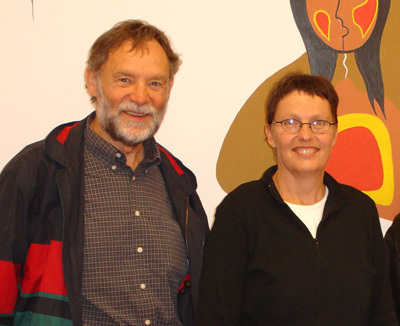 In Winnipeg, I met Henk DeBruyn and Jeanet Sybenga in the Indigenous Family Centre. Behind them, you can see some of the artwork painted on the walls. 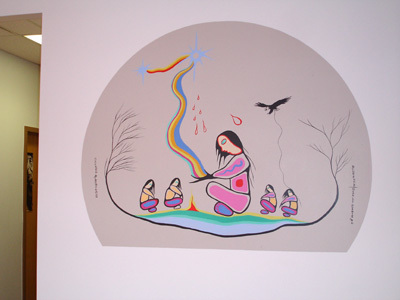 Here one painting shows the smudge, the burning sweet grass used in Native American ceremonies and incorporated into the worship circle held at the Indigenous Family Centre. 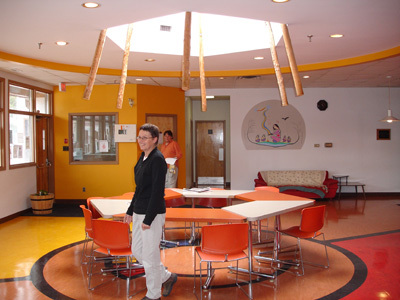 Inside the Indigenous Family Centre you can see the tipi-like skylight. When they hold the worship circle they remove the tables under this skylight and replace them with a circle of chairs. 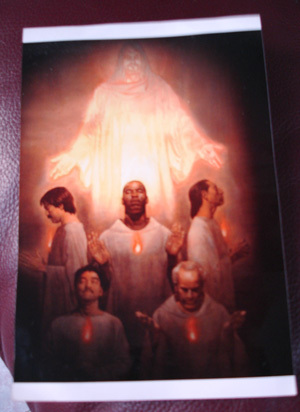 The photo carried by a former-Buddhist monk I met in Thailand. I came away from my travels with a whole variety of new images swirling through my head. Those images still fascinate and inspire me as I imagine what a more diverse pursuit of biblical faith could look like. What images of faith help you see in a new way? Share your pictures with me on Instagram or your thoughts on Facebook or Twitter.